A fantasy out of Buck Rogers? A Simpsons parody? Or cutting-edge technologies worth considering? Maryland last week gave Elon Musk’s Boring Company permission to dig a 10-mile test tunnel in the Baltimore suburbs. The tunnel would be part of Musk’s proposed Hyperloop train, traveling through vacuum tubes at 760 mph. This comes on the heels of renewed talk of a magnetic levitation (maglev) train between Baltimore and Washington, traveling at 300 mph, partly as a way of enticing Amazon to build its vaunted second headquarters at Port Covington. Both options have grabbed headlines as well as the enthusiasm of Maryland Gov. 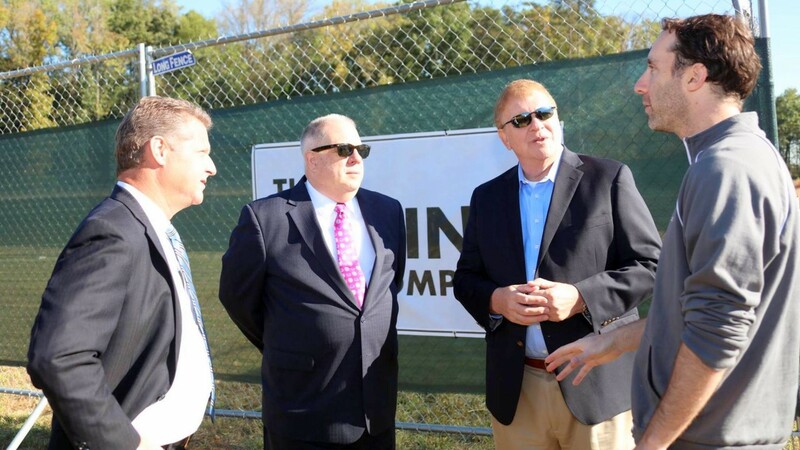 Larry Hogan, who recently posted pictures of himself at the spot where the tunneling is set to begin in Anne Arundel County. “‘I think it’s coming to Maryland, and it’s going to go from Baltimore to Washington, so get ready,” Hogan said, touring the site with state officials and Boring Co. executives. 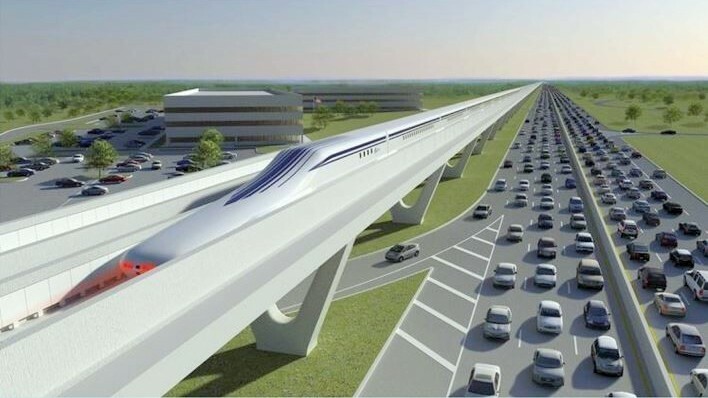 The maglev proposal won Hogan’s earlier support after he rode a test track in Japan. Now it’s the subject of a federally funded $27.8 million environmental review. But under scrutiny, do either of these proposals hold up as the right choice for Maryland’s and Baltimore’s transportation needs? For starters, Hyperloop doesn’t even have a proof of concept. Musk’s own proposal from 2013 was littered with errors and flights of fancy, and the serious work on fleshing the concept out has involved separate firms independent of Musk. Those other firms, such as Hyperloop One, have built short test tracks, but operate only at moderate speeds. It is not known whether Musk is even aware of the potential issues with materials engineering and passenger comfort. For example, to limit the centrifugal force felt by passengers, the required curve radius scales with the square of train speed. In his original write-up, Musk proposed curve radii that would exercise a greater force on the passengers than that produced by a plane at takeoff. Riders would literally barf. More recently, the Boring Co. has pitched itself as building urban tunnels for cars in lieu of trains. But its claims about how to dig cheaply are false and betray ignorance about construction costs. 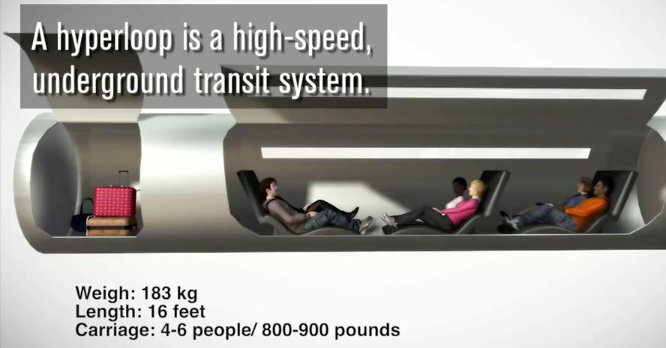 Musk has repeatedly claimed that building very narrow tunnels, permitting only two-abreast seating (conventional trains have four- or five-abreast seating), would save large amounts of money. His claim that halving the tunnel diameter would reduce costs by a factor of three or four is wrong. In fact, the saving is only a factor of two, or even a bit less, proportional to the reduction in capacity. Musk is not only hawking a wholly unproven system, but he hasn’t even bothered to make sure it has adequate capacity in the event the system does succeed. Unlike Hyperloop, maglev is a solid technology. In Japan, JR Central, a private railway that operates the high-speed rail line connecting Tokyo and Osaka, is constructing a parallel maglev line, after decades of testing at high speed. The plan here is to connect Baltimore with Washington in 15 minutes, at a cost of $10-12 billion. But even maglev is likely to run into severe difficulties in this corridor at the scale envisioned. Baltimore and Washington are only 40 miles apart. The difference in travel time between a train that tops at 180 mph and one that tops at 760 mph is small, because the faster trains would have to spend so much time accelerating and decelerating. A conventional high-speed rail line, using Amtrak’s Northeast Corridor with a few deviations, could connect the two cities in 20 minutes. A train that connects two different cities gains little from doing the trip in 15 minutes rather than 20. Even the difference between 15 and the current Acela Express trip time of 30 minutes is small potatoes because most riders would not be living right next to Baltimore Penn Station or working right next to Washington Union Station. They would need to get from their home neighborhood to Penn Station and from Union Station to their workplace, which could easily add half an hour to the trip. The sweet spot for high-speed rail is longer distance trips. A fast train between New York and Washington would benefit the Baltimore region because residents would be barely an hour away from New York, not because they could be 15 or 20 minutes closer to Washington. Even JR Central recognizes this. It plans to open its domestic maglev line starting with a 180-mile segment between Tokyo and Nagoya. It is not planning any 40-mile stub. Conventional high-speed rail benefits from being technologically compatible with legacy trains: high-speed trains can run on slower track at reduced speed. In most countries, high-speed rail has used this feature to connect to cities far from purpose-built high-speed lines. In France, for instance, the original TGV line only opened two thirds of the way, forcing the train to spend the last third of the route at low speed. Conventional high-speed rail can also use existing station platforms, since the last few miles into New York and Washington would be low-speed no matter what. Maglev cannot do any of this. A maglev line between Baltimore and Washington would have to construct a new station in Washington with its own approaches. Extending it to Philadelphia and New York would require new tunnels under Philadelphia’s Center City and across suburban New Jersey all the way to Manhattan. The cost would be prohibitive. In contrast, Amtrak and states like Maryland could upgrade the Northeast Corridor to conventional high-speed rail incrementally, one segment at a time, and use existing station approaches in most cases. Incompatibility with older rail infrastructure is why so few countries have been interested in maglev or other unconventional rail technologies. China built a short maglev line between Shanghai airport and a subway interchange to the central city that has lost more than one billion renminbi. Since then, the country has neglected maglev and instead invested heavily in a network of conventional high-speed rail. Switzerland rejected a plan to build fast vacuum trains across the country a decade ago and keeps investing in its rail network. Japan is building maglev, but only because JR Central’s conventional high-speed line between Tokyo and Osaka is so busy that it needs more capacity. In its zeal to look futuristic, Maryland and its governor are embracing technology that is indisputably advanced, but also outrageously expensive and not the right fit for the state’s transportation needs. Instead of buying what Elon Musk or JR Central is trying to sell, Maryland DOT and Gov. Hogan should invest in the existing Northeast Corridor that gets people from Baltimore to Washington, Philadelphia and New York reasonably fast. ALON LEVY writes for Streetsblog, Railway Gazette and Curbed and has blogged at Pedestrian Observations since 2011, covering public transit, urbanism and development.